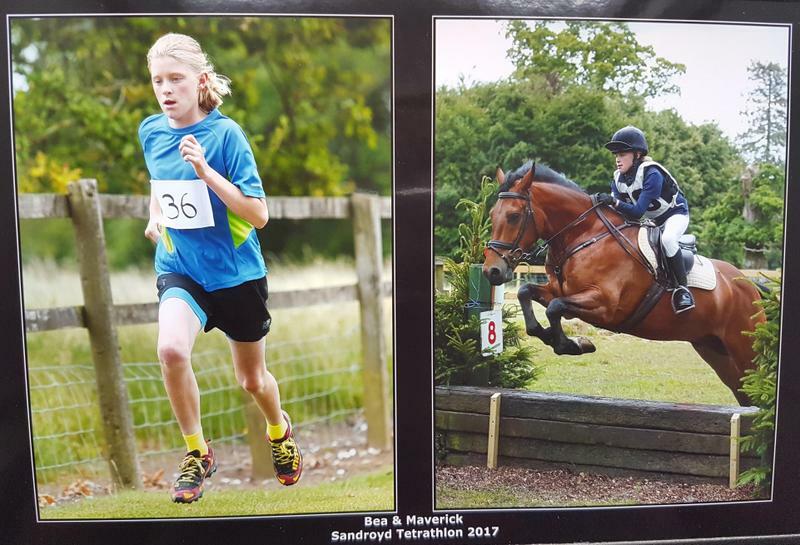 We are all very proud of Bea, who competed for Trent School at the Sandroyd Tetrathlon, which was held on Sunday 25th June. It was a long day with a pistol shoot, timed run and swim and a cross country ride. Over 20 schools and pony clubs were represented, with 50 girls in her section from all over the South and South West. She did exceptionally well to win overall for the second year in a row, with an individual win in the run. She still has another year to go in this age group! She thought the best part of the day was being allowed to borrow her sister’s horse so she could ride (extremely!) fast over the jumps. Well done Bea!